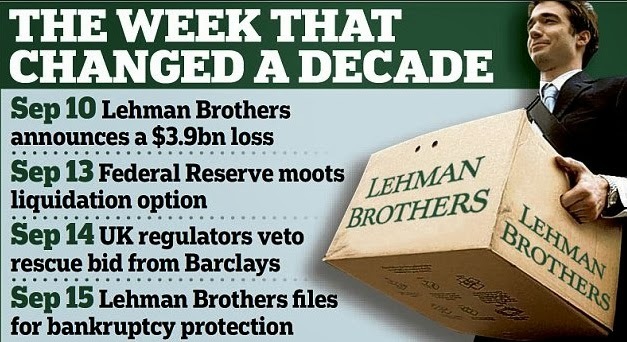 Big Apple Secrets: Lehman Brothers. Part 1. The raise of Corporation. Lehman Brothers. Part 1. The raise of Corporation. Five years ago on September 15, 2008 one of the biggest US investment banks crashed and the worst economic crisis in living memory began. The financial calendar can be divided into Before Lehman and After Lehman. The history of Lehman Brothers parallels the growth of the United States and its drive toward prosperity and international prominence. Hayum Lehman was born to a Jewish family of cattle merchant in the small town in Bavaria , Germany. 23-year-old Lehman emigrated to the United States in 1844. He settled in Alabama, changed his name to Henry and opened a dry-goods store. In 1847 his brother Emanuel arrived , and three years later the third one- Mayer - followed them. With the arrival of the youngest brother, the firm became "Lehman Brothers". Cotton was one of the most important crops of America in the middle on XIX century and had a high market value. Brothers started accepting raw cotton as payment for merchandise. Henry died in 1855, center of cotton trading moved from the South to the North , and in 1856 brothers moved the company's headquarters to New York, opening an office at 119 Liberty Street. The Lehmans were supporters of the Confederacy, and Emanuel acted as an agent in Europe for the sale of Confederate bonds. 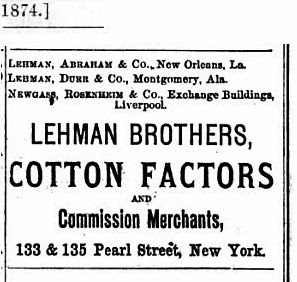 Mayer Lehman was one of the organizers of the New York Cotton Exchange, the oldest commodities exchange in New York City. Emanuel sat on the Board of Governors until 1884. Philip Lehman, Emmanuel’s son, became a partner in the family-owned firm in 1887 and was the first chairman of the board of the Lehman Corporation. In 1900 Philip built a beautiful mansion on the Upper East Side, on the lot opposite the brownstone at 4 West 54th occupied by John D. Rockefeller. Philip began collecting major artworks in 1911 The collection was enlarged after his death by his son Robert and now is the largest private collection donated to Metrop[oliten museum of arts. . I’ll tell about the house and collection in one of my next posts. Philip was the firm's managing partner from 1901 to 1925. At that time the company change the direction toward the extremely profitable ventures of underwriting and investment banking. 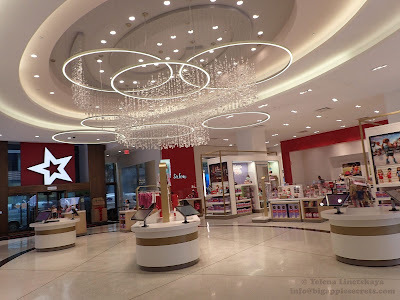 For a 20-year period beginning in 1906 Philip Lehman and his friend Henry Goldman, the partner in the firm of Goldman, Sachs, formed an alliance to fund the emerging retail industry. The two firms jointly underwrote securities issues for some of the most famous names in the retailing industry, including Sears, Roebuck & Co.; F.W. Woolworth Co and R.H. Macy & Co. Following Philip Lehman's retirement in 1925, his son Robert Lehman took over as head of the firm. Robert lead the company until his death in 1969. 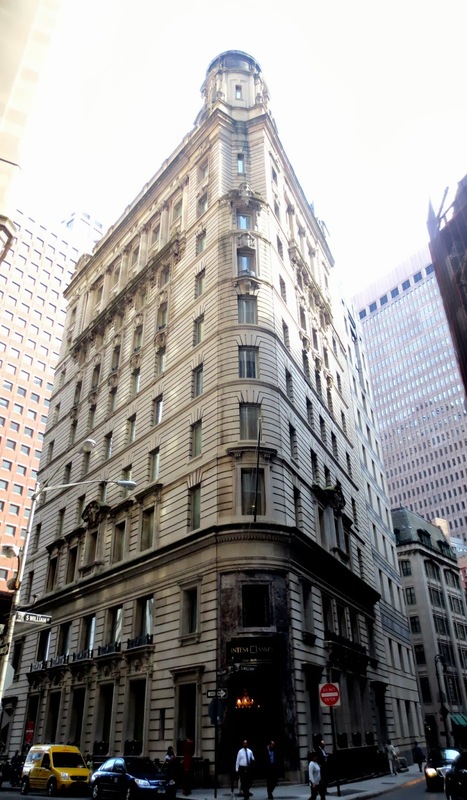 The 11-story steel-framed and limestone-clad skyscraper in new-renaissance style on 1 William street , one of the oldest streets in Manhattan , was built in 1907 for J & W Seligman, an investment bank. The Jewish Seligman family from Bavaria emigrated to America ten years earlier that Lehmans. There were eight sons in the family and all of them were at the beginning in clothing business. In 1862 brothers established the firms in New York, San Francisco, London and Frankfort-on-the-Main. The profits and losses of all of them were divided equally among the eight brothers as it was done by the Rothschilds. In 1879 the Seligmans, with the Rothschilds, took over the whole of the $150,000,000 bonded loan of the United States. In 1928 it was acquired by Lehman Brothers. The corporation occupied the building until 1980. Since its purchase in 1981, the building has been the New York headquarters of the Banca Commerciale Italiana, one of Italy's largest banks, founded in 1862. 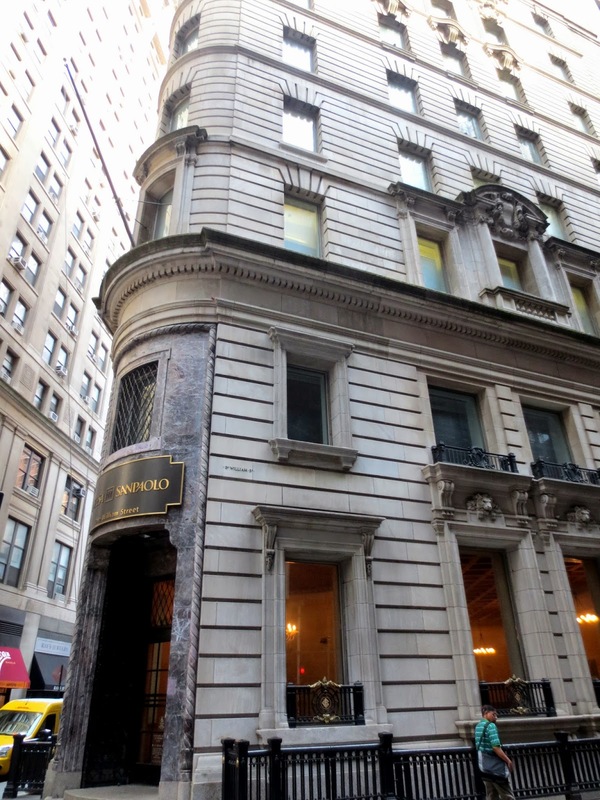 In 1996 the building was designated as a landmark by the New York City Landmarks Preservation Commission. Robert Lehman guided his company through the perils of the stock-market crash of 1929 and the ensuing Great Depression of the 1930s. In 1975 the firm merged with Kuhn, Loeb and Company to form at the time the 4th largest investment bank. Since the IPO in 1994 Lehman had steadily increased revenues and grew in employees from 8,500 to approximately 28,000. In my next post I’ll tell what happened to Lehman Brothers in the XXI century. Lehman Brothers. Part 2. Big crash.